Bruce McTavish, a Professional Agrologist and Registered Professional Biologist, is a senior agricultural consultant with the Trans Mountain Expansion Project and lead author of the Agricultural Assessment Technical Report for the Project. He has been involved in soil and habitat work, land reclamation and rehabilitation, environmental impact studies and the development of Environmental Guidelines. 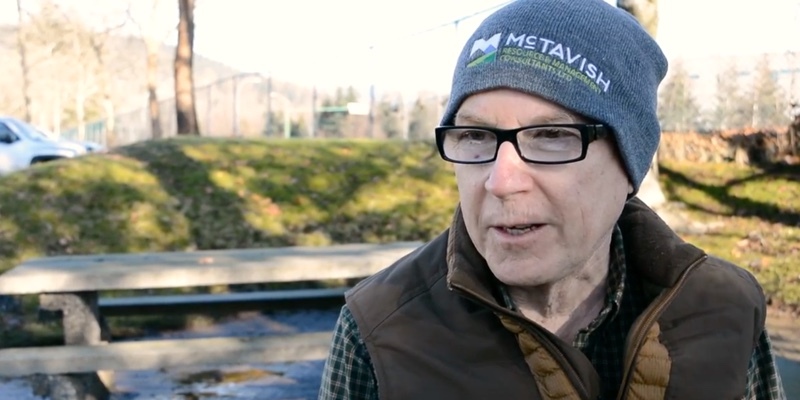 We recently sat down with Bruce to learn more about mitigation plans for the Project and to address misconceptions regarding the Project’s impacts — particularly for farmland in the Fraser Valley. The Trans Mountain Expansion Project includes construction of 994 kilometres of new pipeline. How much of the construction route for the expanded pipeline passes through agricultural land? Approximately 481 kilometres runs through agricultural land in British Columbia and Alberta. This represents almost 50 per cent of the length of construction for the expansion. It’s not only critical but also necessary to make our best efforts to ensure agricultural land is properly managed. What are some of the top issues for farmers? The agricultural community is concerned about soil disturbance. Both within the right-of-way and temporary working space associated with construction, we will be disturbing soil. To mitigate that, we’ve soil-surveyed the entire pipeline from Edmonton to Burnaby. Typically in the Fraser Valley, soil depth is 25 to 30 centimetres and gets much thinner when you get to Kamloops and north of Kamloops, and is much deeper again when you get to the Prairies. That is probably the single biggest issue with farmers. They want to make sure their soil is handled properly. Based on the soil information, we have a plan for how we will strip the soil in different layers to preserve the most productive soil. Each is stockpiled separately to make sure there is no mixing between the topsoil and the subsoil. The soils go back into the trench in the reverse order they came out. Drainage and irrigation are issues, particularly in the Fraser Valley. We have committed to identifying drain lines. All drain lines crossing over the pipeline will be cut during construction and identified. Once the pipeline goes in, they will be replaced. If for any reason we can’t just replace a drain line — because it can no longer extend across the pipeline — we will make an adjustment to the drainage system for them so their land continues to be properly drained. We have to make that farmer whole again. If we interfere with drainage, we will fix it. Who is monitoring the construction activity and its impacts on soil? That’s a significant issue when we are talking with farmers in Abbotsford or Chilliwack. We have committed to CGLAP (Collaborative Group of Landowners Affected by Pipelines, based in the Fraser Valley) that we will have an agrologist with extensive experience with soil handling and agricultural issues in the Fraser Valley on-site all the time when there is soil handling taking place. Invasive weeds are an issue for farmers and ranchers. What measures is TMEP taking to avoid introducing weeds during construction activity? We can have two sources of weed introduction. It could be from one farm or ranch to another farm or ranch as we cross boundaries, or from public lands as equipment is accessed. We have a very tight equipment cleaning protocol, where necessary. As we move equipment, it is cleaned as needed where there is a chance of problem weeds being on the equipment. You’re trying to make sure you’re not bringing in any weeds or potential agricultural diseases or pests. Are you aware of any issues specific to the Fraser Valley? I’ve been working on this Project with landowners, particularly ranchers and farm owners, since 2013. Through the process of listening to their concerns, we have changed or increased the rigour of a number of our processes and protocols. Probably the best example is in the Fraser Valley where the farmers in the Abbotsford-Sumas-Chilliwack area had concerns about the depth of the pipe related to drainage installation and deep tilling. A minimum of 90 centimetres is consistent with industry practice for depth of cover in agricultural lands. In areas where pipeline depth needs additional cover to accommodate deep tillage. the pipeline will be buried with soil cover over the pipe of 1.2 metres. How will you manage impacts on organic farms — are there special protocols to protect their status? There is extra vigilance on an organic farm. We have very special protocols. Nothing gets added to the soil including right down to special provisions for removing any materials generated when welding together sections of pipe. There is no importation of topsoil. We’re working with the organic certification bodies around protocols such as topsoil handling and storage. We have a whole protocol sheet for organic farms, detailing things you can and cannot do. You can’t spray for weeds. If for any reason there was a concern about weeds, we have to manually remove those weeds. How will you manage work around poultry farms in the Fraser Valley? In the Fraser Valley, the Project goes through a number of poultry farms. Poultry farms have very precise biosecurity protocols to ensure that avian flu is not introduced onto any poultry farm. We’ve committed to find out what the protocols are for each farm, make everyone aware of the biosecurity protocols on poultry farms and abide by them. We will ensure that workers and equipment do not come into their critical biosecurity zone to absolutely ensure there is no risk of avian flu transmission. The pipeline includes a 30-metre safety zone from the pipeline. Will that area be excluded from farming or ranching once the pipe is in the ground? One of the most frequent questions I get from farmers is about their right of access and right to land use on the pipeline after the Project is complete. Nothing really has changed. Basically, all normal farming activities are allowed in that safety zone. The pipeline company has the right to put the pipeline in, but it is a right-of-way, not a purchase of land and the farmer has all the rights to continue farming on that land. That has not changed. Of course, if you want to engage in a major ground disturbance activity within that safety zone, you first have to consult the pipeline operator. Will Trans Mountain be in contact with ranchers and farmers throughout construction to deal with potential issues? Every property owner has a land agent assigned to him or her. The land agents are dealing with them on a regular basis to work out the details. The Agricultural Assessment Technical Report tells the land agents what they have to do, and then the land agents will work out the details with the landowners. Have you seen other projects that have prepared to this extent regarding agricultural impacts and plans for mitigation? We did a lot of research before we did the agricultural technical report and we could not find any pipeline in North America that had done the depth of research on potential impacts or developed mitigation measures in the detail to which this Project has been developed. How confident are you that the Project will respect the concerns of farmers and ranchers? Based on my experience on this pipeline and on other projects over many years, the Trans Mountain Expansion Project is doing more to ensure that agriculture and ranch lands are properly managed. This includes management of weeds, management of soil, drainage, irrigation, water supply and of course, compensation to farmers when we cannot mitigate. I’m very confident we will be able to protect farmland and ranch land in British Columbia and Alberta.